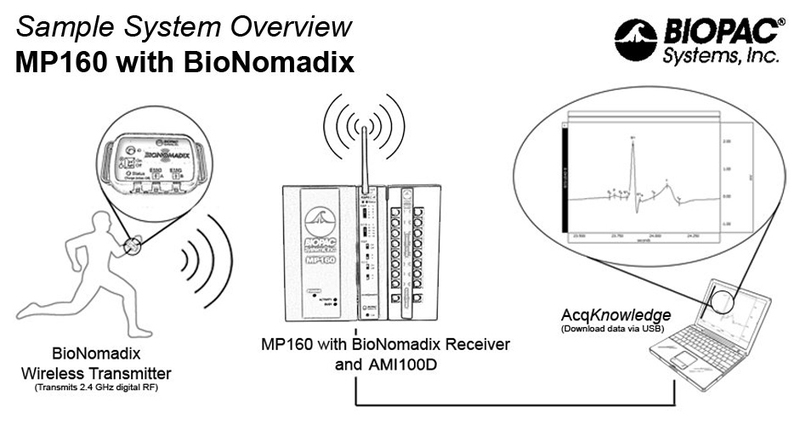 The Wireless NICO BioNomadix module consists of a matched transmitter and receiver pair for noninvasive cardiac output measurements. 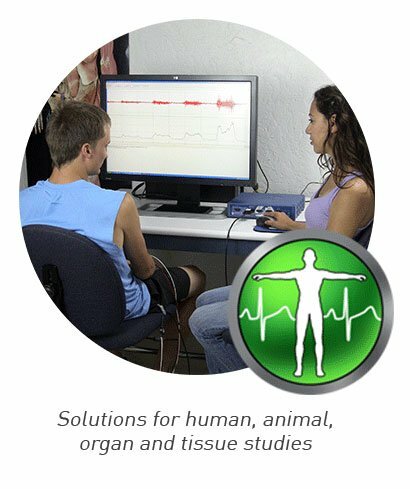 The combined pair is specifically designed to measure impedance magnitude and derivative of impedance, for the purposes of beat-by-beat impedance, stroke volume and cardiac output measurements. 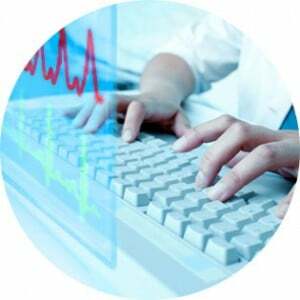 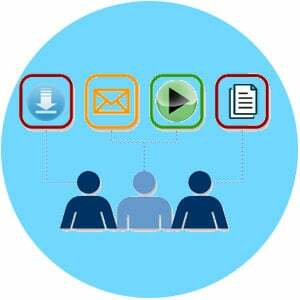 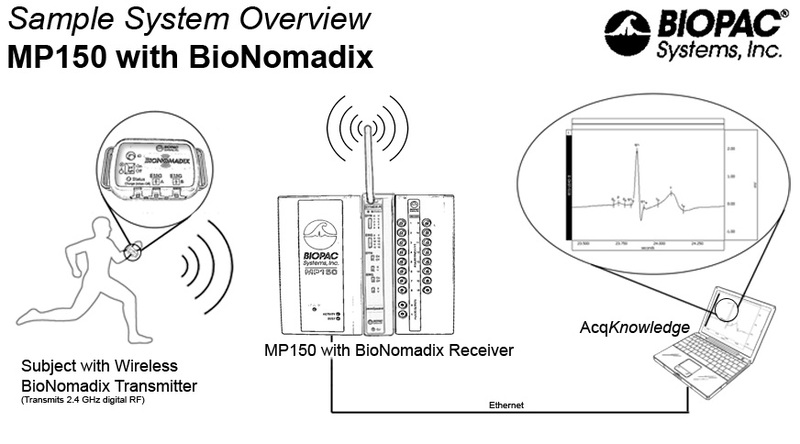 The Wireless NICO BioNomadix module is part of a complete research system solution. 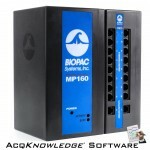 These amplifiers interface with the MP160 data acquisition and analysis platform and AcqKnowledge software, allowing advanced analysis for multiple applications. 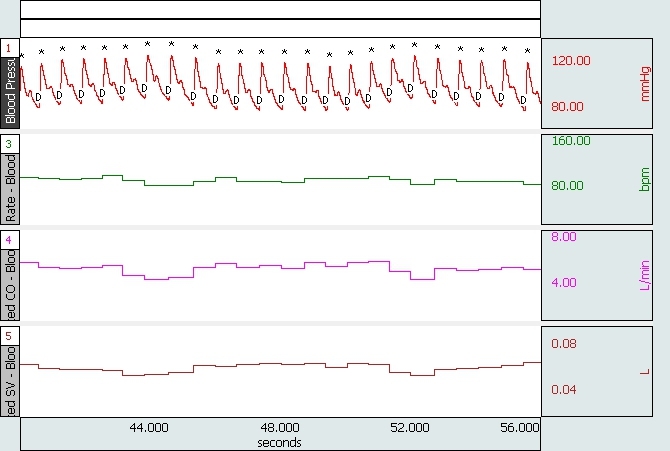 Impedance Magnitude (Z) and Derivative of Impedance (dZ/dt) signal data is transmitted at a rate of 2,000 Hz, providing high resolution cardiac impedance waveforms at the receiver module’s output. 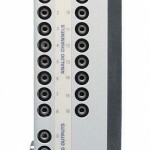 Raw data from the module pair is bandlimited from DC to 50 Hz* for both the Z and dZ/dt signals, to provide for a sufficiently rapid response impedance measurement without compromising the impedance signal with corrupting EMG or other artifact. 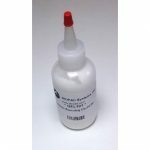 Additional internal lowpass optional filters provide for improved amplification of Z and dZ/dt signals, depending upon ambient conditions. 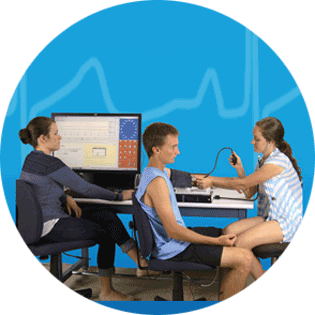 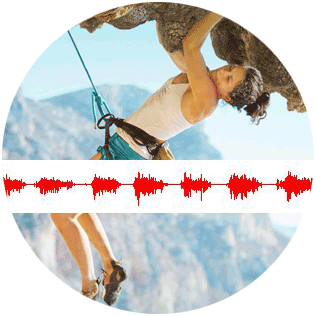 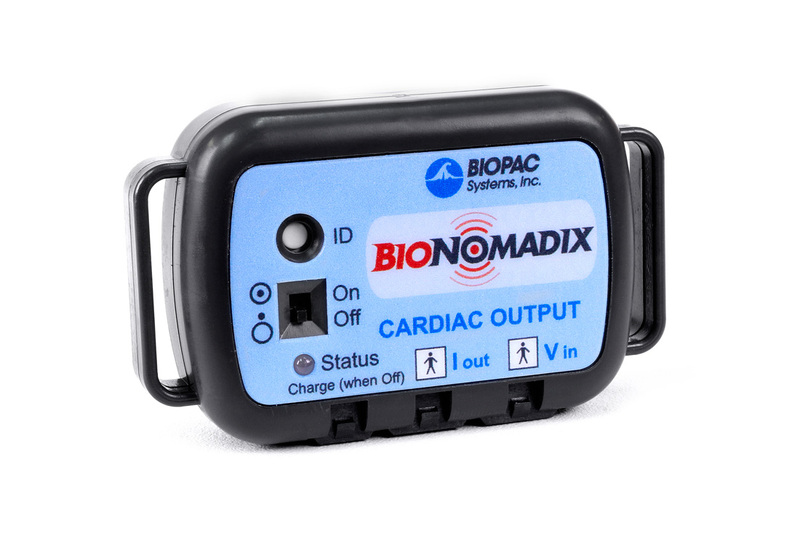 The BioNomadix Cardiac Output (NICO) transmitter with strap is worn by the subject to amplify and send the physiological data, and a matched receiver module provides high-quality cardiac output data (Z and dZ/dt). 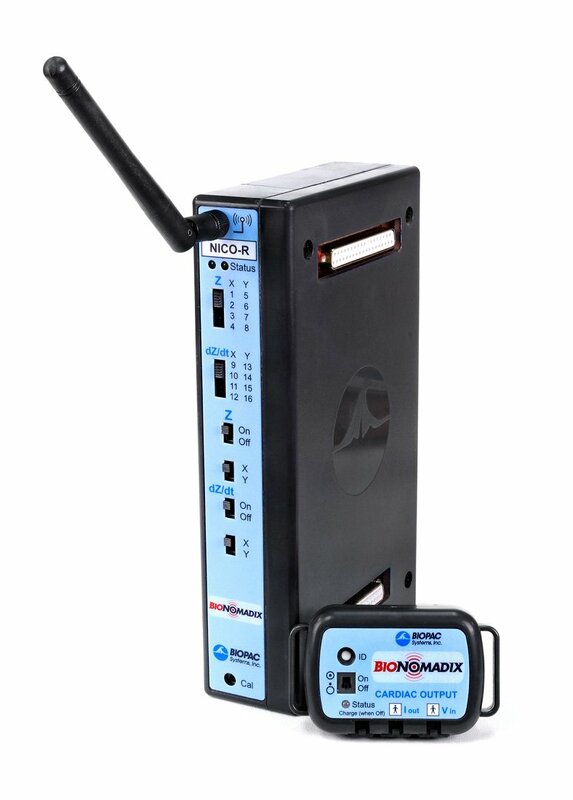 The BioNomadix NICO transmitter uses digital transmission and short leads placed close to the signal source to provide excellent signal quality. 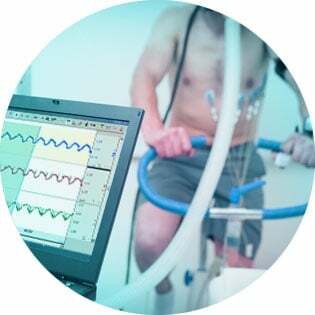 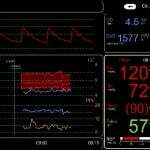 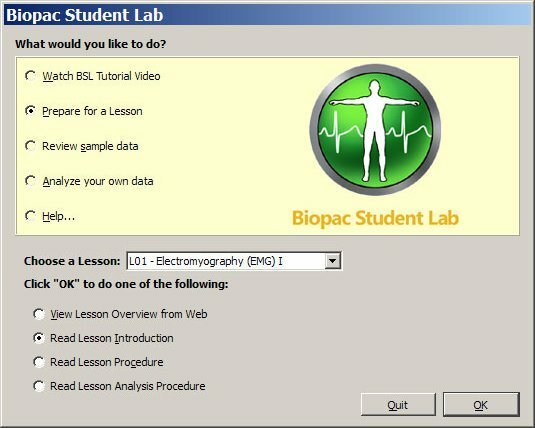 BioNomadix are configured for specific signal types, so you don’t have to adjust settings on the hardware or software for high quality cardiac output data.